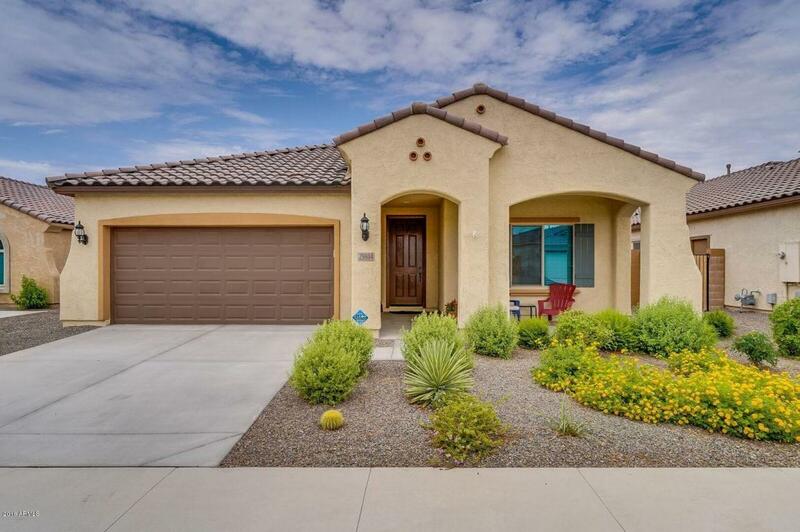 Lovely 4 bedroom, 2 bathroom home in the Festival Foothills community. This Manzanita model is beautiful featuring custom paint throughout, laminate & tile flooring throughout with exception of bedrooms, nicely equipped kitchen with Expresso cabinets with cabinet extension, stainless steel appliances including refrigerator, large pantry, and eat in dining area, open floor plan. Split master bedroom with large shower and nice master closet, double sinks with executive height, secondary bedrooms are good size. Lots of storage in this home, ceiling fans, large laundry room includes washer and dryer. Covered patio, extra pavered patio and lots of shrubs and trees. This house was built in 2017 and has so much to offer. Truly a must see! Measurements are approximate.